The most popular Scentsy Candle Warmer of all time! It’s Back !! Order now! Capture the essence of carefree, playful summer evenings. 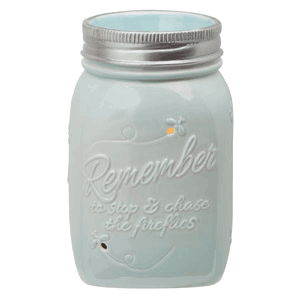 This pale-blue hand-painted warmer mimics a glass canning jar, complete with a silver ring and “filled” with fireflies.